My name is Connor Evans and I graduated from Cardiff University with an LLB in Law and French. I am currently an Inner Temple major scholar studying the BPTC at Cardiff University. I first became involved with Inner Temple through the Pegasus Access and Support Scheme. I instantly felt welcomed and supported by what would go on to become my professional home in London. A continuing concern for the profession as a whole is diversity and outreach. However, Inner Temple takes this in its stride, offering one of the most established outreach programmes of all the Inns. 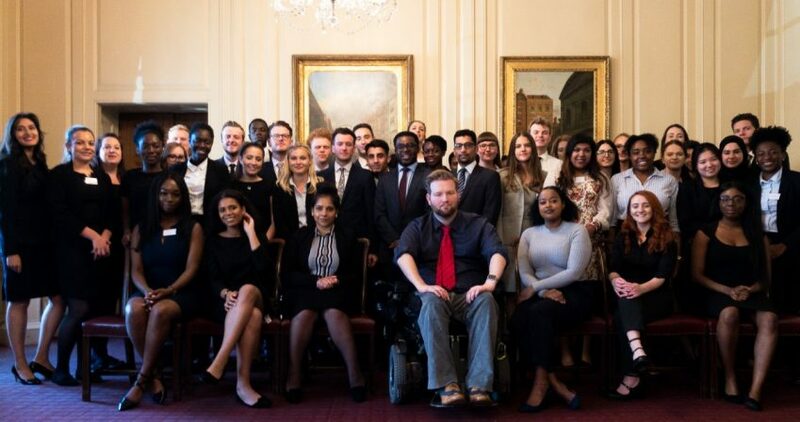 One of the major reasons I chose to apply for PASS and subsequently become a member of Inner Temple was because of the enthusiasm and effort the Inn puts into its outreach programme. If the Bar still has deficiencies in diversity, Inner Temple certainly goes out of its way to address these. During PASS, I was part of the first cohort to be involved in the residential course. The Outreach team organised a programme of events over two to three days. It was the perfect welcome to the Inn as well as the journey to the profession. The first day covered sessions on how to apply for scholarships, interview tips and an introduction to networking. These were all incredibly insightful. The second day concentrated on wellbeing in the profession and a mock interview, in which we were interviewed by a practising barrister and then given feedback. Finally, we were given an advocacy task where we were provided with an opportunity to practise examination-in-chief and cross-examination. The feedback given during these sessions was incredibility supportive and helpful. The final part of PASS placed me in a mini-pupillage with Landmark Chambers, a specialist public, planning and environmental set. The Inn covered the expenses for the mini-pupillage. Without the Inn’s support, I would not have been able to undertake this mini-pupillage. The outreach support by the Inn reassured me that I would be proud to be a member of Inner Temple. 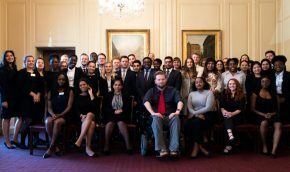 PASS was incredibly helpful in gaining insight on life at the Bar and a perfect opportunity to make many new connections - from students to barristers and members of staff within Inner Temple. Through PASS, I managed to gain a contact who offered me guidance and later offered me another mini-pupillage. As someone who came to the profession with no links or contacts, I was so grateful to Inner for having provided the opportunity to make my first professional contact on PASS. PASS was incredibly helpful in gaining insight on life at the Bar and a perfect opportunity to make many new connections - from students to barristers and members of staff within Inner Temple. I applied for a scholarship in my final year of undergraduate study. I knew that unless I obtained a scholarship, I would struggle to fund the BPTC. Fortunately, I managed to obtain a major scholarship for my 2017/2018 BPTC year. Although the financial aspect of the scholarship allowed me to pursue a career at the Bar, the vote of confidence that comes with being granted a major scholarship is immense. I had the support of the Inn who, through their scholarship, had said that I had the necessary qualities and deserved the opportunity to pursue a career as a barrister. The application process is very straightforward. What I would advise to applicants is to allow more than enough time to review your application - the number of silly mistakes you correct in editing is unbelievable. Moreover, learn the scholarship criteria by rote and always link examples and experiences back to these. Inner Temple interviews every applicant. I want to stress that as an applicant, you can use this to your advantage if your paper application is not as strong as you would like. The interview comprises of a case study and general questions about your application as well as your ambition to pursue a career as a barrister. In preparation for the interview, familiarise yourself with your application and prepare by reading multiple cases and summarising the essential elements. In the interview, you will choose a case study and will have half an hour to read it before presenting it before the panel. I am coming to the end of my BPTC year. Students about to embark on this journey should be aware that the workload is intense and demands a professional approach. Furthermore, it requires you to develop a broad skill set and juggle several deadlines in a short amount of time. However, the course can be enjoyable if you invest yourself in it. I also wish to stress that it is a tough course and can be daunting at times. It is essential to develop a supportive group of friends and keep morale up, especially during the ‘Gateway gauntlet’. I look forward to being called later this year!